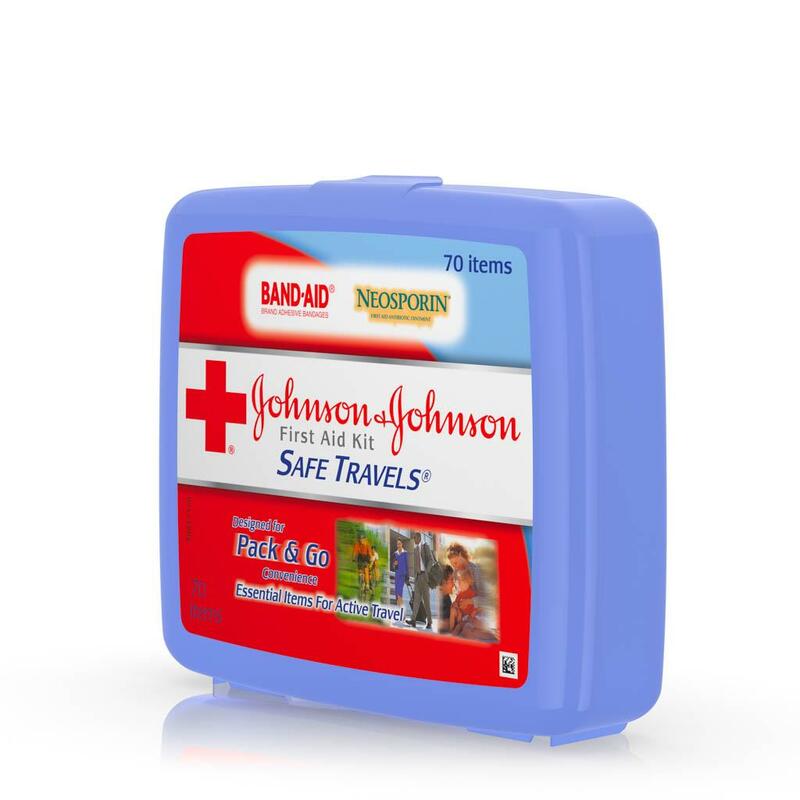 Stay prepared while on the road with the Johnson & Johnson SAFE TRAVELS® First Aid Kit. 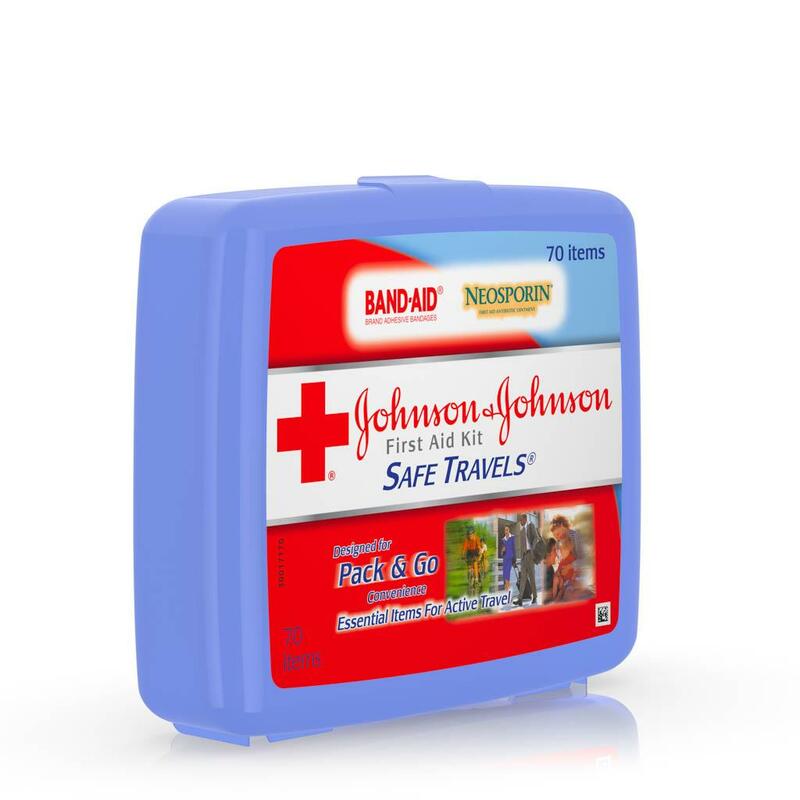 Designed for pack-and-go convenience, this portable first aid kit contains essential wound care items for active travel. 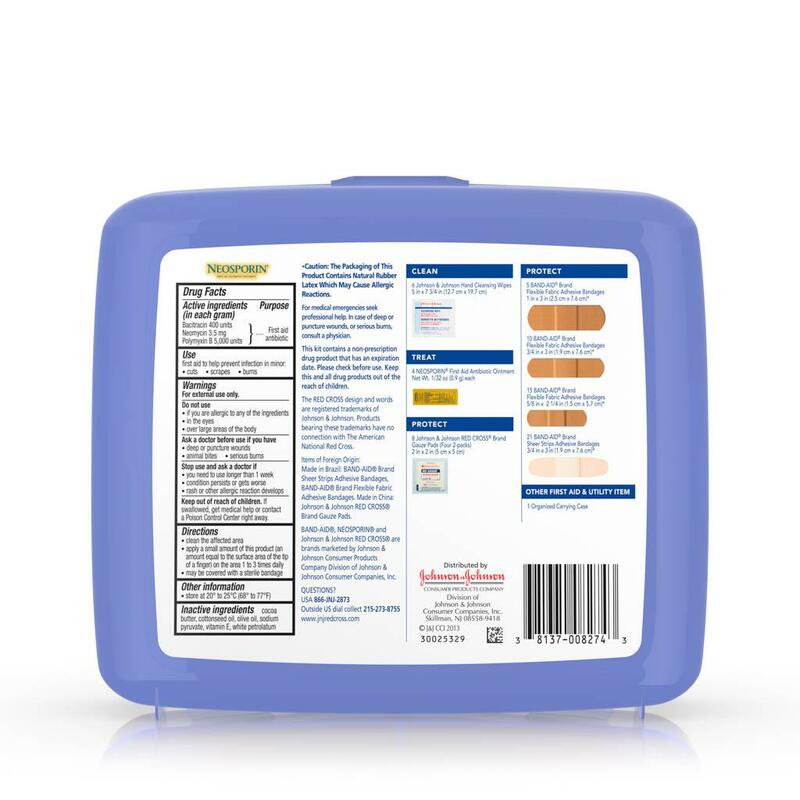 The easy-to-carry case contains products to help clean cuts and scrapes and prevent wound infection, including a variety of adhesive bandages in assorted sizes, cleansing wipes, antibiotic ointment and gauze pads. The wound care kit contains premium items from brands such as BAND-AID® Brand Adhesive Bandages and NEOSPORIN®. 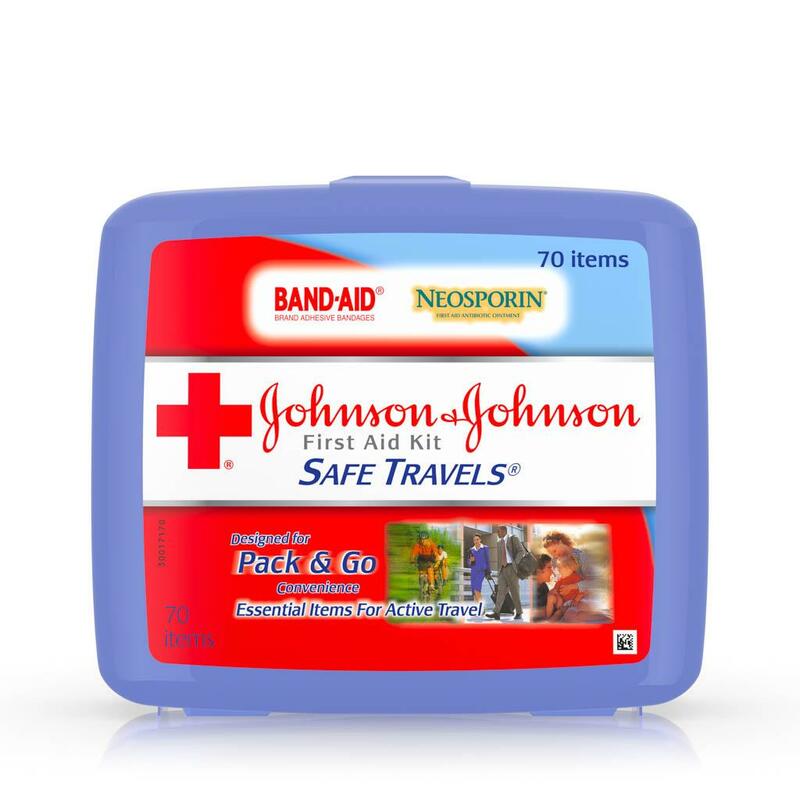 Complete with 70 first aid items, its convenient size is ideal for storing in your car or luggage for emergency first aid on-the-go.